Playing From The Back A Step Too Far For Indian Teams Yet? Football, like all sport, has evolved over the years and the role of the goalkeeper is one that is going through enormous change in the modern game. Pep Guardiola might have gotten his cue from Gusztav Sebes’ Hungary from the 1950s and Rinus Michel’s ‘Total Football’ revolution in the 1970s with the Dutch, but he seems more obsessed than anyone else before him about employing a keeper as an outfield player. Traditionally, a goalkeeper was only supposed to be good with his or her hands but with rule changes and the game only getting faster with time, a keeper today uses feet seven times as much as hands. He needs to be good at kicking with both feet (there might be a striker lurking leaving little time to shift the ball onto a stronger foot) and even initiate play from the back. There are quite a few sweeper keepers out there with Manuel Neuer probably being the best exponent. Guardiola’s willingness to discard a top keeper in Joe Hart and then his own signing in Claudio Bravo before settling on Ederson at Manchester City indicates the lengths to which he is willing to go to attain a numerical superiority over the opposition. In a 11 X 11 sport, the goalkeeper has mainly been confined to his goal for over a century but much like with a false nine, a ‘false one’ could change football for ever. 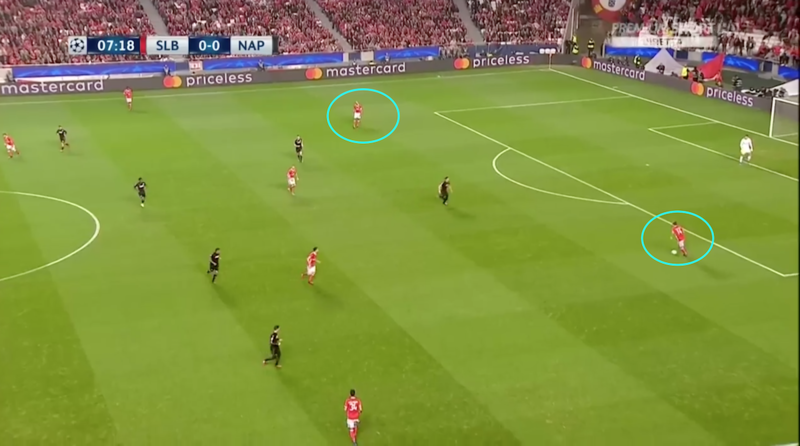 In Guardiola’s teams, the onus is on building play from the back and an additional player who is comfortable with the ball at his feet helps tremendously in bypassing the pressing of opponents. Of course, to do this it isn’t just the goalkeeper but the entire defence line that needs to be skilled more than the average player in these positions and that is the reason why only elite teams employ the system consistently and successfully. The high scoring clash between FC Goa and Kerala Blasters on the weekend served as a reminder of what can happen when teams try to employ a system without the right players for that system. As Goa’s hero, Ferran Corominas, who scored the fastest hat-trick in ISL history mentioned later, the chances just kept coming. Both teams kept giving the ball away at the back for the opposition to pounce upon and this resulted in an open game where seven goals were scored. It could easily have been more. In former Barcelona man, Sergio Lobera and ex-Manchester United assistant coach, Rene Meulensteen, both teams had managers keen to stamp their imprints on the way their teams play. In time, it is quite possible that both teams, and others in the ISL and I-League, would be able to play their way out from the back consistently given the standard of the leagues today. It would be a great footballing education for most players in the country who have only been exposed to the lumping of the ball upfield from defensive positions. There is a reason why we have seen so many low scoring games in the ISL this year and in previous seasons. With moderately talented teams, defensive organisation is the easiest thing for a manager to get right. That gives a team the base to build on in subsequent years and I expect a 5-2 scoreline to be an anomaly rather than the norm in the league. The danger would be in expecting too much change too soon or in employing the system against better quality of opposition in Asian competition. Or in expecting the Blue Tigers to play that way in internationals. A team ranked 105 in the world should use Iceland as a model for success rather than Spain or Germany. As we see every week in the European leagues, the only chance a moderate team has against the big boys is when they sit deep and wait for a chance to fall their way. It isn’t particularly aesthetic but evolution takes time and while we might one day see Indian teams play with confidence and skill from the back, let alone employ sweeper keepers, that is one step too many for them today.